Plans Performance offers all the benefits that you would expect to find from a main dealer: Factory trained, ex-main dealer technicians; the latest diagnostic equipment; fully insured collection and delivery; loan cars; and 24hr security. In addition to the above, we keep our workshop immaculately clean and tidy. So you can be assured that your car will be properly looked after whilst it’s with us. If you prefer to wait, we have a comfortable customer area with complimentary wi-fi and refreshments. We can provide MOT testing and have an insurance-approved bodyshop. We offer regular servicing for Honda NSX, Porsche, Lotus, Noble, and Caterham as well as other sports cars. In fact, if you own a car that deserves special attention, then we are best placed to help. We have the experience and diagnostic equipment to quickly identify and resolve issues both on classic and modern sports cars. We employ qualified technicians but charge half the labour rate you would pay at your local main dealer. We pride ourselves on delivering race-car quality work from our immaculate workshop. From the aesthetic to the practical, we can handle a very wide range of improvements to your car. 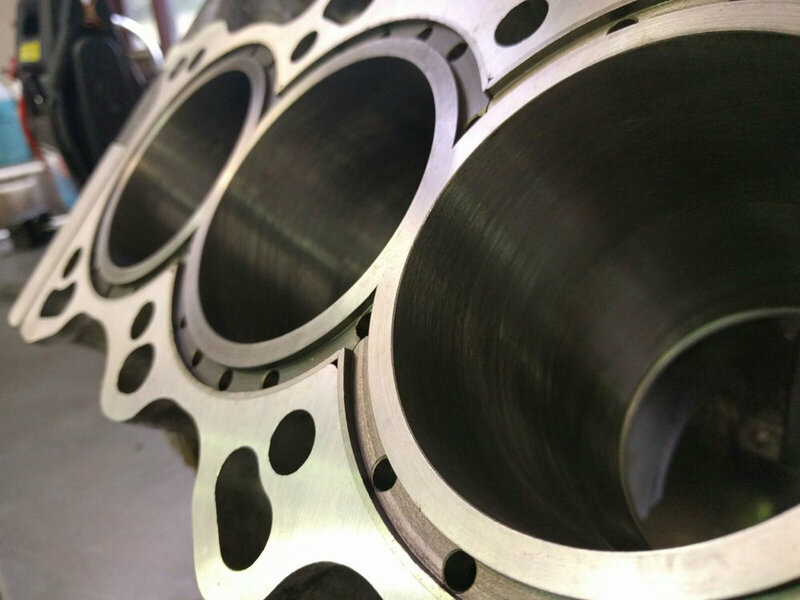 We have considerable experience from straightforward tuning techniques such as induction, exhaust and engine management upgrades (as well as improvements to braking performance) right through to engine building and transplants. There are many products on the market that are expensive but do little to improve performance - Plans Performance avoids them. We'll help advise on the options which are most appropriate. We have a unique reputation for ride and handling improvements and offer range of products to enhance the performance of your car on the road, track or race circuit. Whatever set up service you go for we can fully evaluate and advise on settings, dampers, tyre pressures and temperatures. For the enthusiastic track or race car driver, please call for more information on our full testing, set up and damper optimisation service. We have a bodyshop for cosmetic improvements, accident damage repairs, or full restorations. Our bodyshop only works on classic and sports cars - using the correct materials and procedures - and carries out repairs to the highest standard. We are happy to either work direct with you or through your insurance company and will manage the whole process of recovery, liaising with the insurance company, obtaining approval, carrying out the repair and settling the account. We offer secure storage for road, track and race cars. Most of our customers' race cars are kept at our premises between races. We have a discreet, very secure location with 24 hour security. Our service extends from race season to round-the-year care of your car in a monitored environment. We can offer either static storage, or can run up and exercise your car at agreed intervals. Plans Performance offers full race-car preparation and maintenance. Very careful pre and post-race checks need to be carried out and there are exceptional and scheduled component replacements required. We offer full track-side race support. We work to meet scrutineering, practice and race deadlines in a professional and relaxed manner. Our style on race days is to ensure that our drivers, their families and guests enjoy the day; the car is reliable; and you win races! Plans Performance provided the engineering, race preparation, driver coaching and logistics support to Team BRIT. Their vision is to be the first all-disabled team to race at Le Mans. We jointly developed world-leading race car hand control systems to enable this. Team BRIT are showing that disabled people can compete on completely equal terms with able-bodied drivers. It's about normalising disability and demonstrating what can be done with a positive attitude. Team BRIT are attracting amazing media coverage and have some fantastic stories to tell.